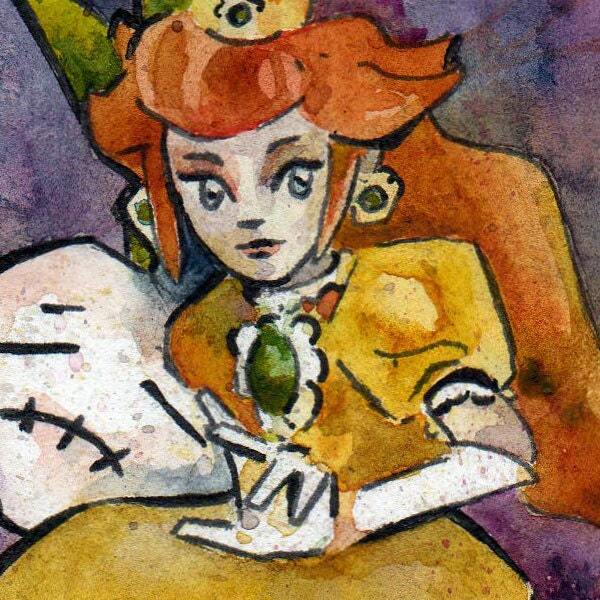 Princess Daisy simply does not get enough attention in the Mario universe. Personally, my favorite game to feature this darling of the mushroom kingdom is Smash Bros. Melee. 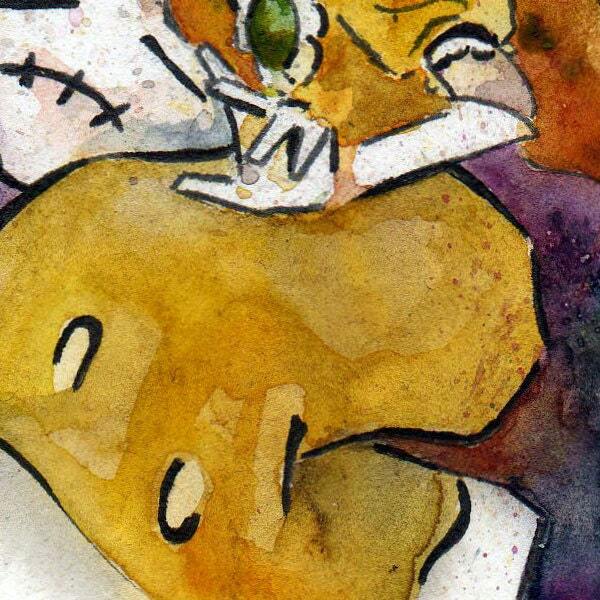 Her stitch faced turnip is just a red herring. Daisy is floating in for a surprise down smash. 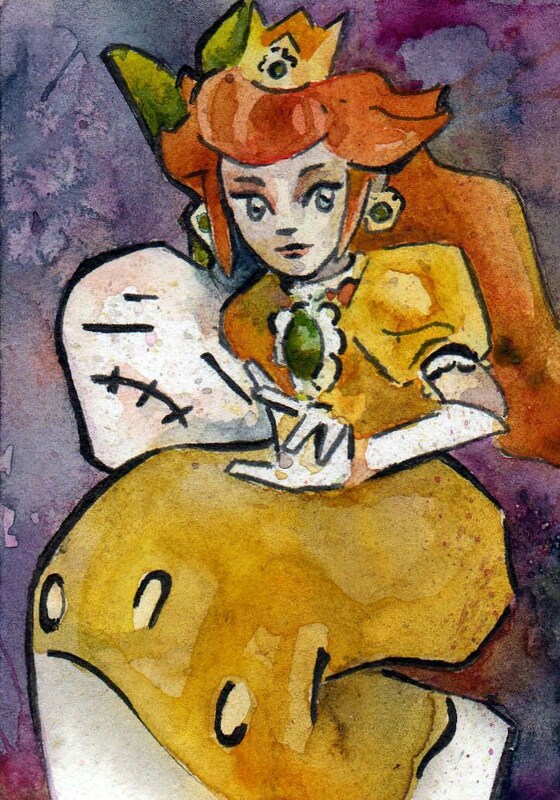 It is my hope Princess Daisy soon gets her own game. Perhaps another sequel to Luigi's Mansion in which she stars. A girl can dream. 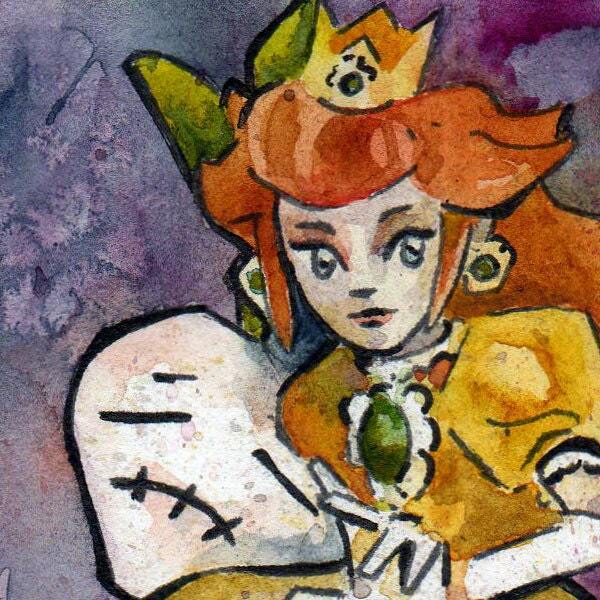 The original painting "Fear My Down Smash" was inspired by Nintendo's Mario Universe. Mario was the Etsy Gamers' theme of the month for March 2012. In 2018, Daisy was announced as a contender in Smash Bros. Ultimate. I am so incredibly hyped.